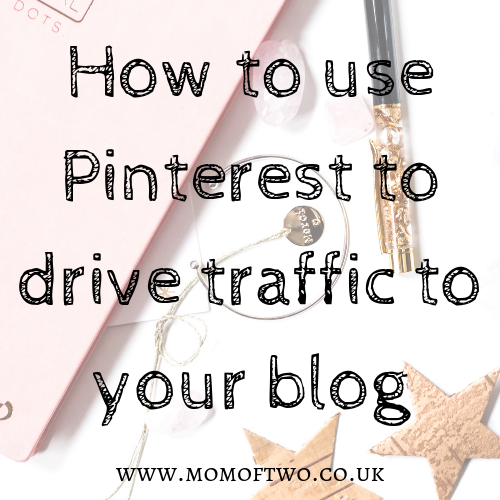 So, if you're just starting your blog or have recently started it, then I bet you've seen many established bloggers talking about how Pinterest is their best platform that drives traffic to their website. 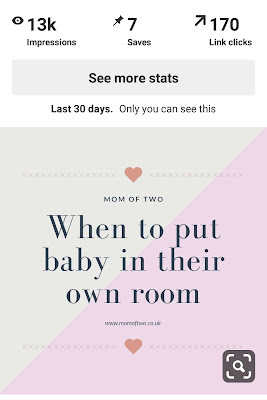 Unfortunately, many of the tips I read are extremely generic and not particularly helpful for those who are desperately trying to get their numbers up. Because of this, new bloggers tend to get caught up on the wrong numbers. When you create a business Pinterest account you get access to analytics. One of the figures that is most prominent is your unique monthly viewers which appears on your profile page without you having to look for it. This figure is actually pretty easy to increase but it doesn't mean what people think it does. This number is actually relatively easy to increase but it doesn't mean how many people are viewing your pins. This is the total amount of times ALL of your pins combined have appeared in someone's feed. And when I say appeared, I mean just that. It doesn't matter if someone has clicked on, actually stopped to look at or simply scrolled right past and ignored it, it all counts in this number. Hopefully, I'm going to help you sort out your account and help you increase your numbers in a way that actually translates to blog views. To make the most of Pinterest you need to remember what it is. A search engine. In the same way you optimise your blog content for Google, you need to optimise your pins for Pinterest. Why would anyone want to see a grainy picture of your dog that you've simply titled "Fido" or whatever your dogs name is. The honest answer is, they wouldn't. You need to make sure that you're uploading crystal clear images, preferably with nice bright lighting. I love layering text on top images and my current favourite app to use for creating and editing pictures for Pinterest is Canva. The app is free but there is a paid upgrade which I haven't currently needed. It's pretty amazing just sticking with all the free fonts and graphics! It is also desktop compatible and it's just as easy to use on a computer as it is to use the app. Anything that I need to do more in depth work on, such as my media kit or my Instagram freebie, I use the desktop version. The image above that I've taken of my work desk is a very "Pinterest" type image but it's a little bit dark. I need to edit this to make it brighter and then I can use it to create some lovely pins. There's nothing wrong with editing your photos to get the most out of them. After you've created your kick arse pins, then you need to think about what would people be searching to find your picture? You need to add those keywords into the pin title and then also a few other relevant keywords in the description. Lets say you've taken a picture of your recently renovated kitchen. People who want to see those pictures could be searching for any number of different terms. Your pin title could be "stunning cottage kitchen in sage green" and your description could be "unique and stylish kitchen renovation with painted sage green cupboards and granite worktops, complete with butler sink". Now, it doesn't matter if people are searching for a specific colour, a type of sink, the worktop or for a renovation, all of the relevant keywords are in your pin title and description. You've made your pin ten times more visible by thinking about who you're targeting and what they would search for. Another way to increase your visibility and to target a wider audience range is to make sure that for every blog post you write, you create a minimum of 3-5 pins. Each of these pins should differ slightly in order to target a different group. Change the picture, or change the keywords you use. Maybe change the wording of whatever is on the pin itself. This helps you to find out what style of pin works best for your audience. Is the fancy pink lettering doing better than the plain black? 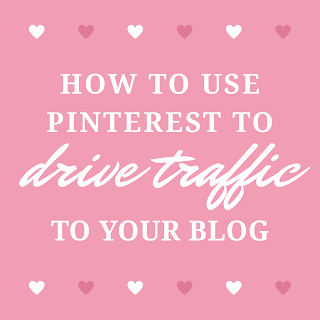 Then use the fancy pink in more of your pins per post to maximise the traffic and engagement. I know some people actually create up to 12 pins per blog post. The amount of pins you create should be dependent on where your traffic is coming from. As of the time of writing this post, my current top traffic referrer is Facebook so it makes sense for me to spend more time there. However, Pinterest is fast catching up and so I have no doubt that shortly, I'll be spending more time on Pinterest than Facebook when it comes to blog promotion. You need to make sure you are pinning quality over quantity. By this I mean actually clicking on the pins and checking that they don't lead to a spam site or if they do lead to a proper source, actually reading the content to make sure it's quality, well written content. The last thing you want to be doing is pinning something with a killer headline and then the post being subpar and not delivering. It affects your reliability and damages your reputation. A lot of people now use Tailwind to schedule their pins. Whilst this isn't something I use myself, everyone who uses it still recommends that you manually pin 5-10 pins per day rather than scheduling 100% of them. This makes sure your account doesn't get mistaken for a bot or spam account. 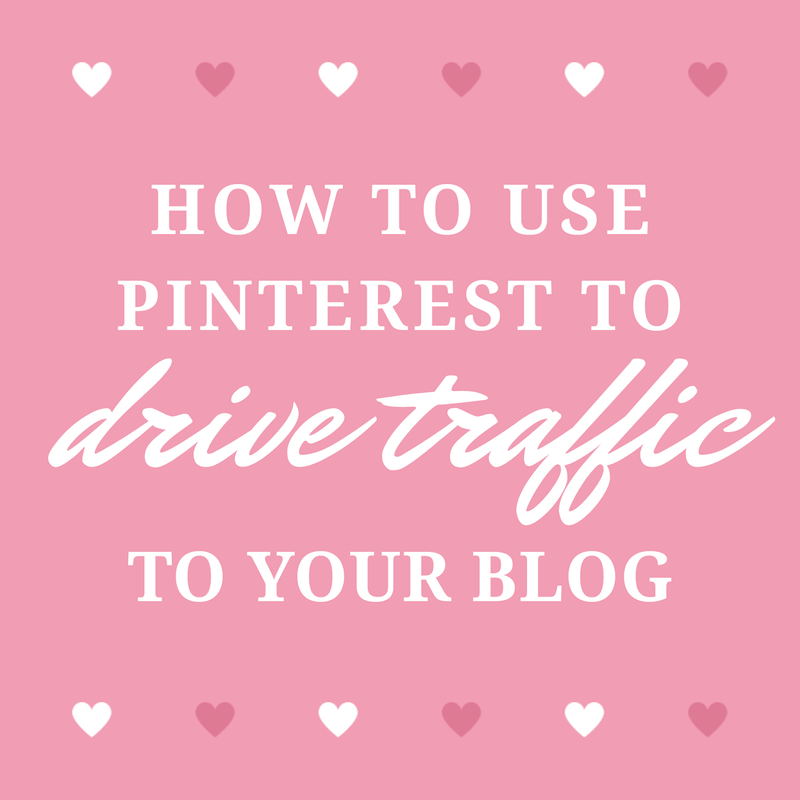 Do you have any other tips on using Pinterest to drive traffic to your blog? What is your strategy for using it? Let me know below and I'll see you in my next post!